Home / Bible Questions / Bible and Church History / Was Constantine a Christian? Aside from Christ and the biblical writers, no one man may have exerted more influence on the Christian Church than Constantine. In fact, his mark remains with us to this day, and it is deeply embedded in the structure and function of many denominations. Constantine the Great’s ascension to the throne is a fascinating story full of twists and mystery. Truth be told, it’s almost an implausible story. The life of Constantine begins with a general named Flavius Constantius III. History records that while staying at an inn, he asked the innkeeper to provide him with a female companion for a one-night stand; apparently, this was quite common in those days. For reasons unknown to us, the innkeeper commanded his 16-year-old virgin daughter to quench the general’s lusts. The next morning, Constantius awoke with a deep sense of guilt and gave the family his tribunal cape, which had a buckle bearing his initials and rank. He then commanded the innkeeper to keep the girl pure, and if she were to become pregnant as a result of the previous night, to guard the child with his life. Constantius departed, leaving behind a young peasant girl named Helena who, unbeknownst to him, was now pregnant. Helena gave birth to a boy whom she named Constantine, after his father. Years later, Constantius was promoted to governor of Dalmatia—a powerful position in those days. What takes place next is nearly miraculous. Approximately 10 years had passed since Constantius’ thoughtless, selfish act against an innocent girl. Likely, the story would have ended the morning Constantius left the inn, but a twist of events brought Helena and her son Constantine back to the historical landscape. While playing in the barn one day, nine-year-old Constantine apparently offended a couple of Roman soldiers. As punishment, they began beating the child. Helena, hearing the commotion and cries of her son, ran to confront the situation. She stopped the abuse by informing the soldiers that they were beating the governor’s son. They, of course, laughed her to shame. Nevertheless, she insisted, then proved it by showing them the once-tribune now-governor’s cape, which bore his name. The soldiers, possibly fearing for their own safety, took the news back to Constantius, who embraced the idea of having a son and moved Constantine and Helena to his palace. Because Helena was a peasant, he was not able to marry her, so he chose a lesser form of marriage that the law allowed. This extended to her and her son certain rights—one of which was Constantius’ last name. In a stroke of a pen, Helena and Constantine went from rags to riches, and the way was paved for Constantine’s rise to power. Constantine the Great would go on to become a powerful leader, eventually procuring the title of emperor. 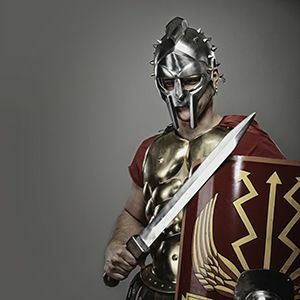 To realize this, he was forced to defeat Maxentius, who had—through conspiracy—maneuvered in such manner as to declare himself the emperor of Rome. This battle took place outside of the city of Rome around the Milvian Bridge over the Tiber River. Maxentius had consulted the Sibylline Books, which gave him assurance that he would win the battle. This news had made its way to Constantine’s camp. His men, being superstitious, immediately trembled. In order to motivate his men, Constantine likely fabricated the story that he was given a message from the gods that he would be victorious. He told them that he had seen the chi-rho symbol and was told that this would guarantee a win. He ordered his men to paint the sign on their shields. Maxentius, believing he would be victorious, left the protection of the city walls and mounted an attack against Constantine’s forces. Maxentius lost his life in the battle, and Constantine took all. Prior to Constantine’s rule, and while he was rising through the ranks, the Romans had become dismayed with the Christian faith; persecution ensued. To the church of Smyrna, God wrote through John, in Revelation 2, that they would be tried for 10 days. Like clockwork, for exactly 10 years, horrific atrocities were committed against the Christians. Was Constantine converted to Christianity? There is no historical indication that Constantine was converted. In fact, he was not baptized until he was practically on his deathbed. Constantine brought Christian persecution to an end when he came to power. There is no historical indication that Constantine was converted. In fact, he was not baptized until he was practically on his deathbed. However, his mother Helena was a Christian convert, and it’s most likely that Constantine saw in Christianity a cohesive method to unify the kingdom. What he didn’t comprehend were the religion’s deep divisions. It wasn’t too long before he was putting out fires and, eventually, at the request of religious parties and factions who begged him to interfere, he married politics and religion. The result was a unification of church and state—a move that would be the catalyst to the egregious abuses that took place over the next 1,500 years during what has come to be known as the Dark Ages. Some have suggested that it was Constantine who was responsible for putting the New Testament together with selected works of his choosing. But historical facts lay that theory to rest. Others have posited that Constantine made up the divinity of Christ and ratified this new theology at the Council of Nicaea. But the Bible writers and their works, which predate Constantine, clearly outline Christ’s divinity. The fact is that many things that have been attributed to Constantine are simply not true. The fact is that many things that have been attributed to Constantine are simply not true. What is true is that Constantine the Great made Christianity popular. It’s also true that he joined church and state, then used force to punish those who would not toe the line of his Christian government. Finally, it’s true that Constantine paved the way for the rise of a religious Roman government that would prove to be horrific for many years. 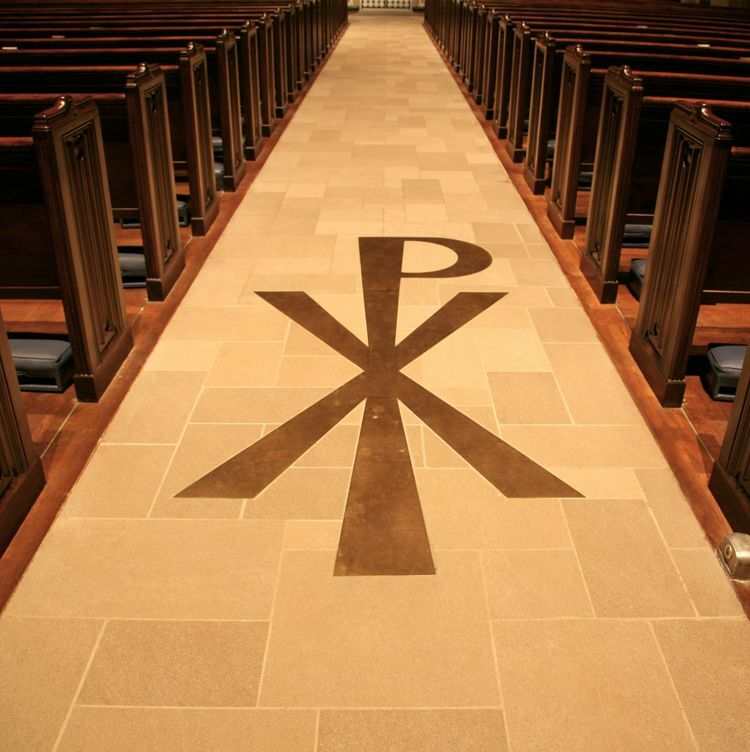 And what about the Christian symbol—the chi-rho—which some have attributed to the beginning letters of the name Christ, and which Constantine said he received from the gods? What about the stories that he saw the sign superimposed on the sun, or as the historian Eusebius mentioned, the cross superimposed on the sun accompanied by a voice that said, “Conquer by this”? Well, it’s not what we’ve been told. In fact, there’s no mention of this or glory given to God when Constantine conquered Maxentius. Ten years would go by before he mentioned a vision with the chi-rho sign to Eusebius. Most likely, this was fiction. It appears that Constantine rallied his troops by concocting a supernatural, spiritual story and had them paint a chi-rho sign on their shields. Incidentally, this was not a Christian sign, but a pagan good luck symbol. By worldly standards, it was a brash and brilliant tactical move by Constantine to motivate his men, but it wasn’t Christian. Although he utilized the sign of the cross, there is no historical evidence that Constantine was truly converted to Christianity.